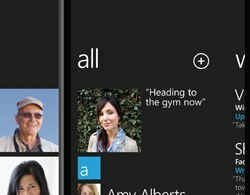 Microsoft has announced that its application store, Marketplace, has almost 3,000 applications and games available to download for the Windows Phone 7 operating system (OS). Just six weeks after the launch of Windows Phone 7, Microsoft also announced over 15,000 developers are creating applications for the platform, an increase of 80% in the number registered since September, and Marketplace has almost 3,000 apps on offer. "We're heading into one of the biggest shopping weeks of the year and we're on pace to offer roughly 3,000 apps and games by the end of this week. We've also seen a near 80% increase in the number of registered developers since September, with more than 15,000 developers already signalling their intent to bring exciting content to Windows Phone. Clearly we're just getting warmed up," said Todd Brix, senior director for mobile platform services product management at Microsoft in a blog post. "Developers and the apps they create are central to the Windows Phone experience and we're doing our best to show people that Windows Phone 7 features a great list of quality apps that take advantage of the phones unique features to extend the phone experience," he added. Microsoft launched Windows Phone 7 in October for nine different handsets. Speaking at the launch, Microsoft UK's enterprise chief, Andrew Lees, said the operating system aimed to simplify mobile phones. Google currently offers 80,000 apps , second to Apple's 250,000.